Freshman Sens. 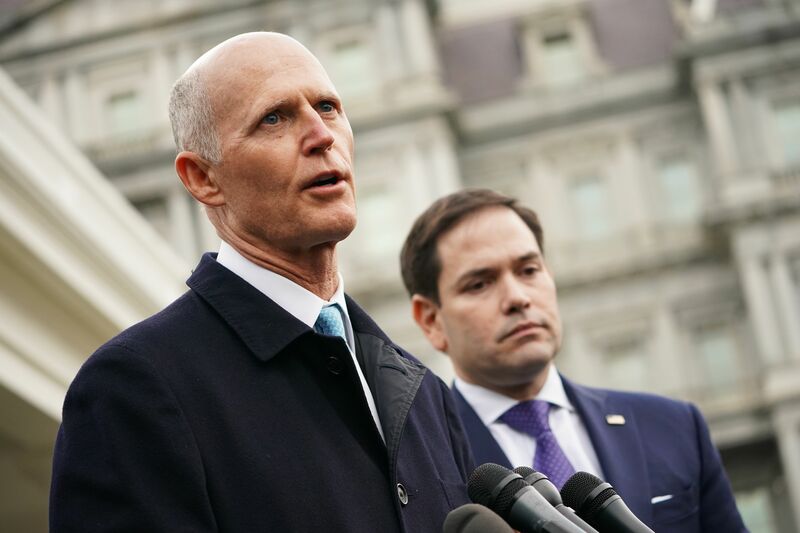 Rick Scott of Florida and Mike Braun of Indiana are the cosponsors of the Banning Lobbying and Safeguarding Trust (BLAST) Act. Scott and Braun want to put an end to lawmakers stepping into the so-called “revolving door of K Street” — using their connections to become well-heeled lobbyists once they are out of office. Already, at least 15 members of the past Congress have made the move to lobbying firms. Two Republican senators introduced legislation to ban members of Congress from lobbying Congress once they exit office, and although the lawmakers are “barking up the right tree,” their solution might not be realistic, a government transparency expert told The Daily Caller News Foundation. Sens. Rick Scott of Florida and Mike Braun of Indiana are the cosponsors of the Banning Lobbying and Safeguarding Trust (BLAST) Act. “I’m proud to introduce this bill that imposes a permanent ban on members of Congress becoming lobbyists. Rather than serving the public, too many in Washington spend their political careers preparing for a lucrative job at a DC lobbying firm where they can cash in on their connections and their access,” Scott said in a statement March 1. “One of the reasons I left the private sector for Washington was to help President Trump drain the swamp and we can accomplish this by permanently banning Congressmen and Senators from lobbying Capitol Hill. Together we can end the revolving door of career politicians coming to Washington, spending time in Congress, then enriching themselves from their service to the American people,” Braun said in a statement March 1. Already, at least 15 members of the last Congress have made the move to lobbying firms, according to MarketWatch. They include former Democratic New York Rep. Joe Crowley, who hopped over to major lobbying firm Squire Patton Boggs, former Republican Indiana Rep. Luke Messer, who is now at Faegre Baker Daniels Consulting, and former Republican Arizona Sen. Jon Kyl. Kyl is the “Featured Revolver” on the Center for Responsive Politics’ website after he returned to work for lobbying law firm Covington & Burling following a four-month appointment to the Senate that ended in January. 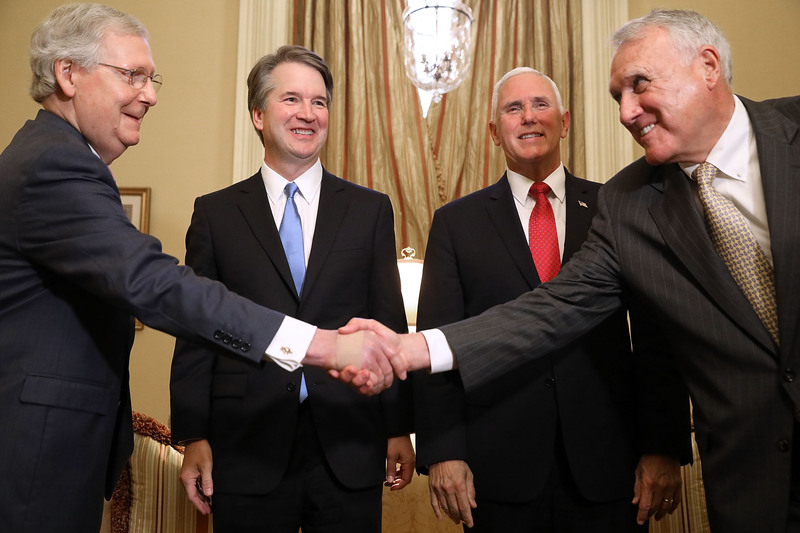 Kyl’s appointment sparked concern since he would be able to vote for then-Supreme Court nominee Brett Kavanaugh — after acting in his capacity as a lobbyist as Kavanaugh’s “lead sherpa” for the beginning of his Senate confirmation process. Kyl voted yes on Kavanaugh’s confirmation. “The reason why we have revolvers in the first place is they’re deemed to be rather valuable. If you have gone from working on the Hill with members of Congress, as a chief of staff or legislative assistant, somewhere in that realm, to now working on K Street lobbying for the pharmaceutical industry or a gay rights organization, you are established enough to know all of these people you’ll be taking meetings with,” Center for Responsive Politics spokesman Brendan Quinn told TheDCNF in a phone interview. These crossovers can be lucrative. “Salaries are considered definitely higher” than congressional salaries, Quinn told TheDCNF, even though senior members of Congress can rake in roughly $200,000 a year. Scott and Braun’s bill could have unintended consequences, Bruce Mehlman of lobbying firm Mehlman Castagnetti Rosen & Thomas told TheDCNF. “The bigger challenge is that registered lobbying represents only a small part of the total spent on influencing government policy, and this proposed law would merely encourage even more ex-Members to avoid disclosure while serving as ‘senior advisors,’ ‘strategists’ or ‘consultants at law and PR firms,'” Mehlman told TheDCNF in an email. Quinn pointed out that Scott and Braun are already wealthy. Braun’s exact net worth is unknown (it’s reportedly somewhere between $35 million to $96 million), while Scott is worth more than $230 million, according to the Orlando Sentinel in 2018. “They don’t need to think about where their next paycheck is coming from,” he told TheDCNF. Scott’s office is adamant that “Congress shouldn’t be a place where people come to permanently live off the taxpayers,” Scott spokesman Chris Hartline told TheDCNF in an email. “They shouldn’t spend their political careers trying to find a way to capitalize on their connections and their access. There’s plenty of jobs besides lobbying that former members can do. In fact, there’s 250,000 job openings in Florida. Former members should apply for one of those jobs. The weather’s nicer,” Hartline continued. The split Congress has a chance to restore public faith in government with bills like this one, Amey told TheDCNF. TheDCNF reached out to Kyl but did not receive a response at the time of publication.